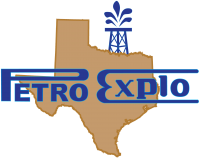 With over 30 years experience in the explosives business, Petro-Explo, Inc. has built a company structure that insures we can provide our customers with the right type of explosive or explosive accessory with the best quality, lowest price, and at the right time. At the same time, we strive to provide the best service in terms of storage, shipping, and consulting services as required by our customers. Please contact us in case you have a special need relating to either new explosives development or sourcing of non-stocked products.